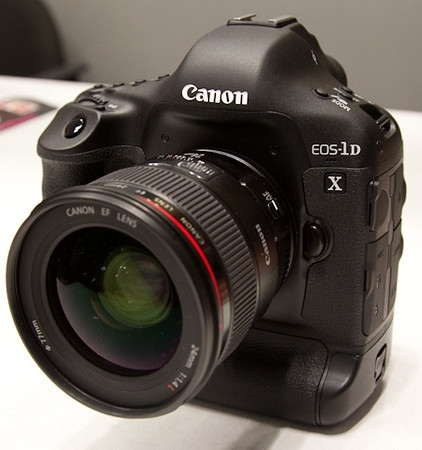 Canon released a Firmware update 1.1.1 in October, 2012 for the Canon EOS-1D X that enabled the highly sensitive auto-focus center-point to be used with apertures down to f/8. Apparently, there are a small number of EOS-1D X models out there that are not center-point focusing using f/8, despite the firmware. Apparently this happened to EOS-1D Xs that were sent in for service and returned with a firmware update. To find out if your model is affected, check the serial number, if the sixth digit is a 4 or 5, then open the battery compartment and look out for a white dot in the position shown in the pic below. If the small white dot is there, your camera is not affected. If your camera is affected, simply download and install the latest Firmware update (1.2.1) from Canon's website.